This is a model figure set of WWI British Infantry. The set can be used for interesting diorama scenes or as a stand-alone model set. Special Feature 1 Parts are a product of ICM, Ukraine. 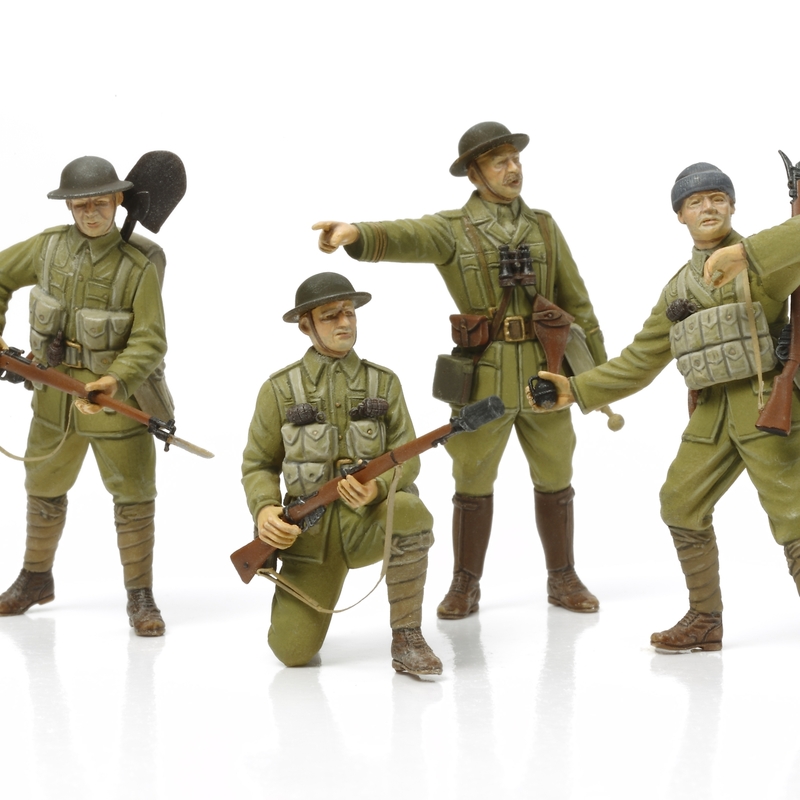 Special Feature 2 Features 4 infantry figures in action pose, depicting infantry from the second half of WWI, in realistic uniform with standard-issue helmets. Special Feature 3 A huge array of accessories (34 types) is included to offer the modeler different assembly combinations. 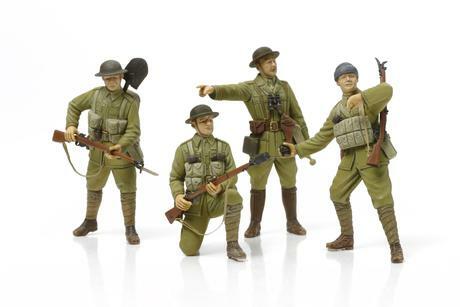 They include parts depicting Lewis machine gun, Lee Enfield rifle Mk.III rifles, Webley Mk.IV revolvers, grenades and much, much more! Special Feature 4 Makes a great accompaniment for Tamiya Item 30057 WWI British Tank Mk.IV Male and Item 35339 WWI British Infantry Set.